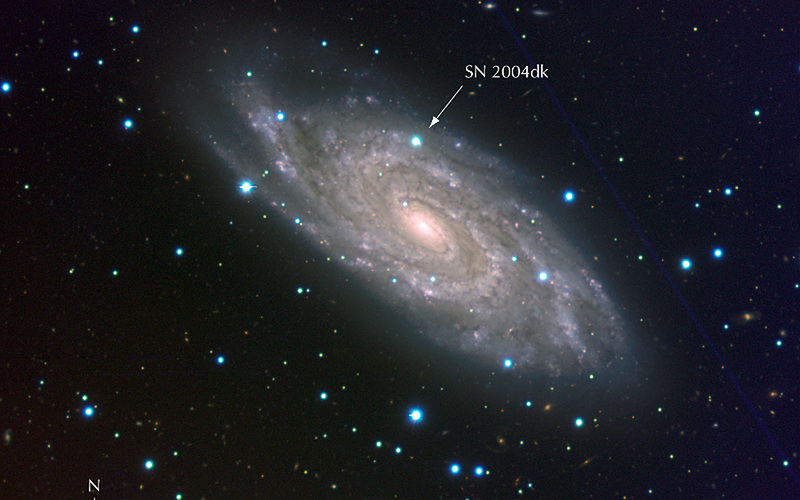 Composite colour-coded image of the "grand design" spiral galaxy NGC 6118, at a distance of 80 million light-years. It is based on images obtained with the multi-mode VIMOS instrument on the ESO Very Large Telescope (VLT) in three different wavebands. 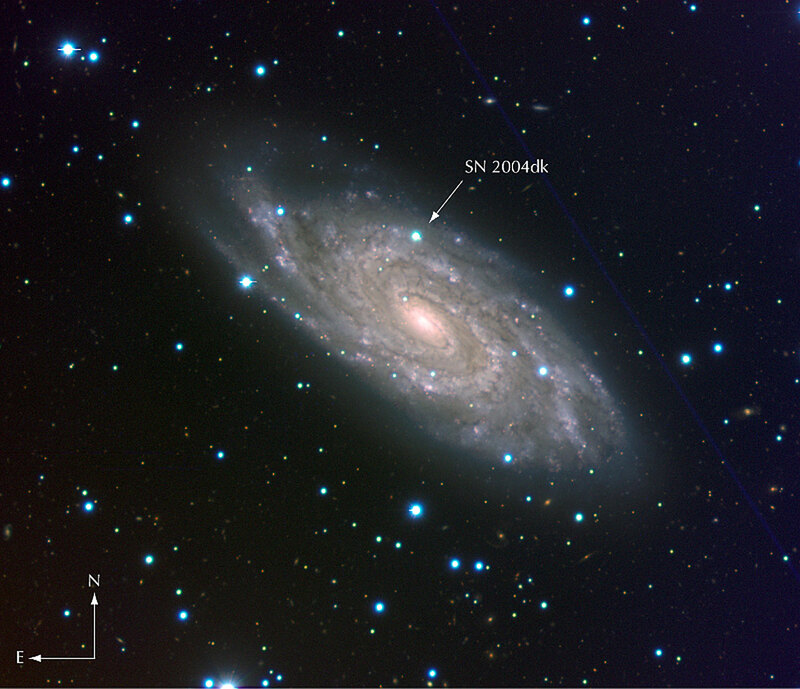 The image covers 6.7 x 5.8 square arcminutes on the sky. North is up and East is to the left. 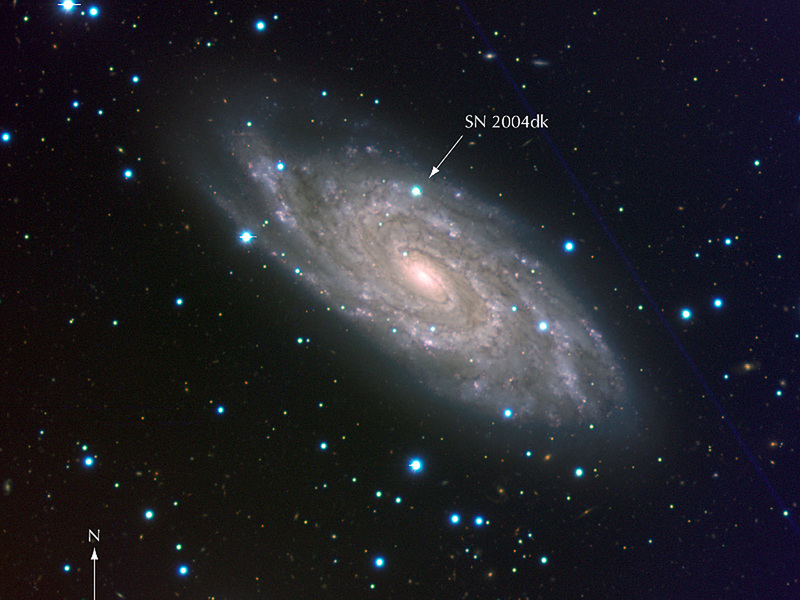 The arrow indicates the position of supernova SN 2004dk. 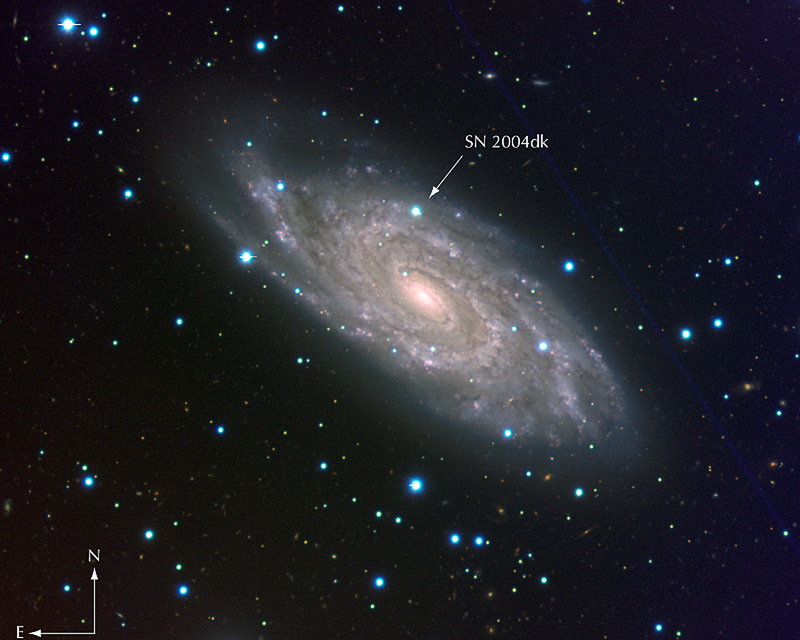 Position (Dec): -2° 17' 0.30"